I have a "Subscribe by Email" widget. Is that all I need? Many bloggers have a widget on their sidebar that says "subscribe by email," but most of us haven't done anything with it since we stuck it out there. 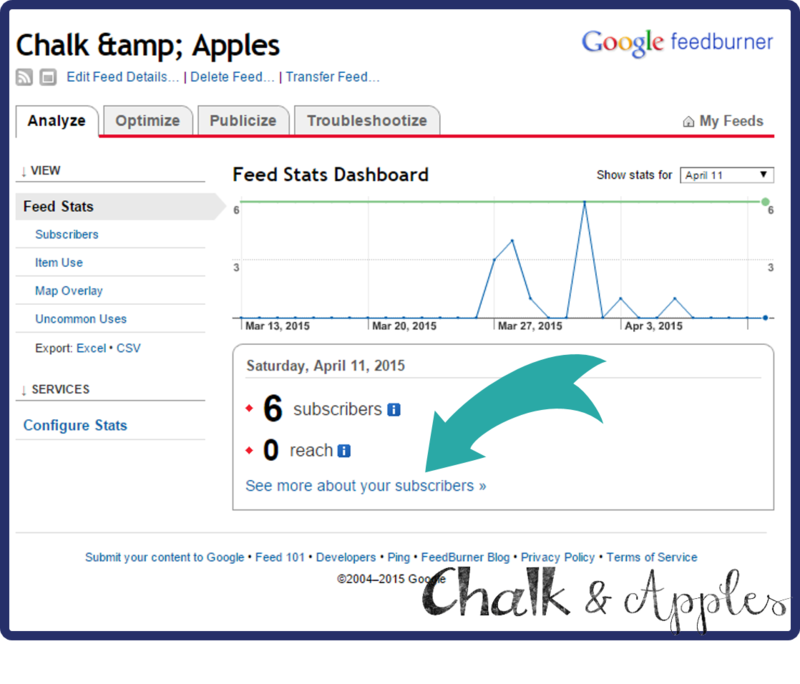 If this is you, your subscribers are getting a plain jane RSS feed email from Feedburner. It's ok, I guess, but we can certainly do better! I'm not going to go into why, but you can read about it here. My favorite reason to switch to MailChimp is the easy stats tracking and industry comparisons they provide so you can see exactly how many people you're reaching. Click on your blog name. Click "See more about your subscribers." 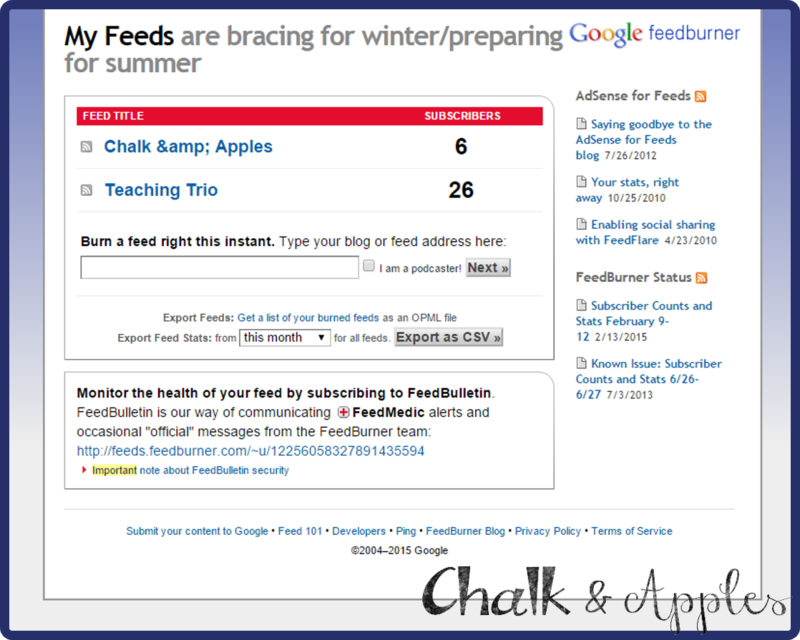 Scroll to the bottom, and click "FeedBurner Email Subscriptions." Then Click the "Manage Email Subscribers" link that appears. Again, scroll to the bottom of the screen. 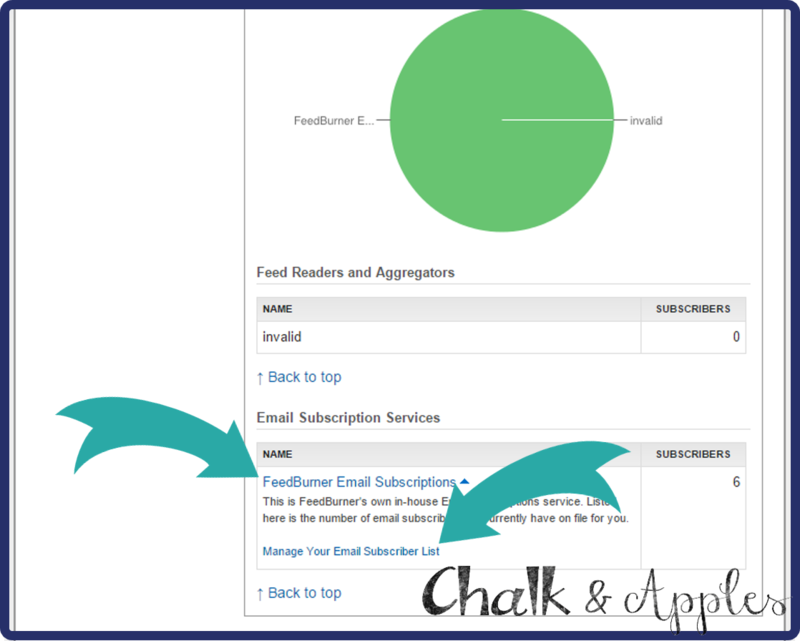 You will see a list of your email subscribers at the bottom of the screen. (I have cropped the emails off for privacy.) Just above the email list is an option to export to CSV. Click it! Save this file. The first column includes all of the email addresses you will need to import into MailChimp. Log in to MailChimp.com, or create a free account (free for up to 2,000 subscribers). Click on "lists" in the menu bar at the top of the page. Then click the "create a list" button. 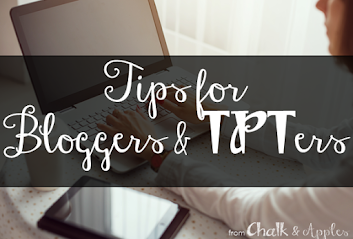 Fill in your list name (no one but you sees this), the from email (I just use my blog email address), and the from name (you might consider including your blog name here). Click save. 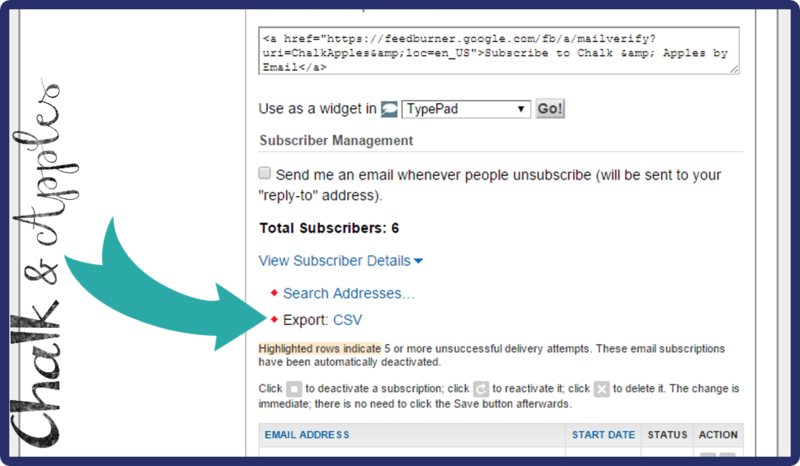 Now you're ready to import your email subscribers from Feedburner. Click "import subscribers." That's it! 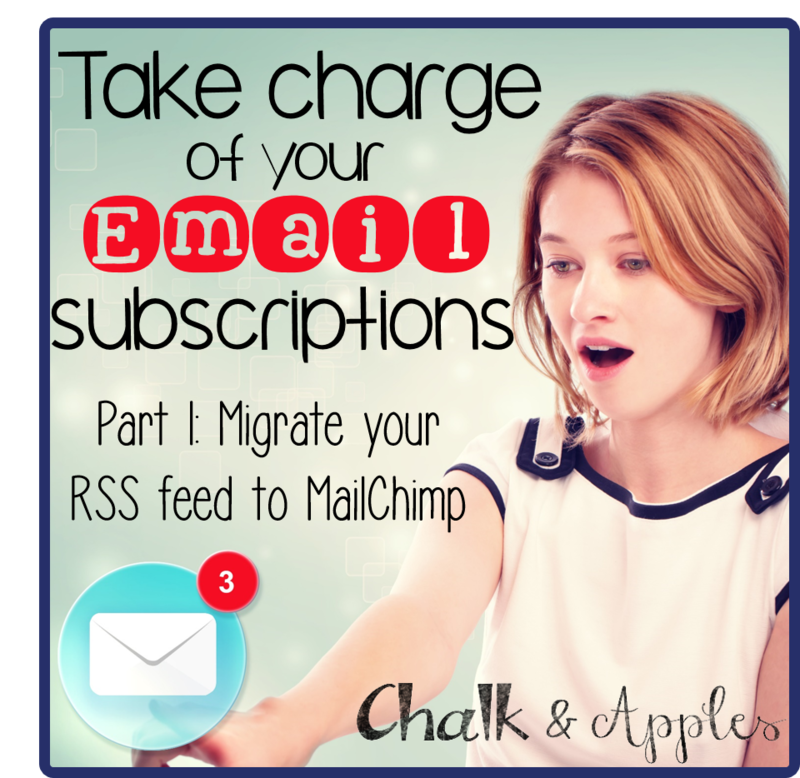 Your email subscribers are all moved over to MailChimp and ready for your RSS feed or newsletter.